More-detailed information about CBMM’s rating is available to registered Charity Navigator users at bit.ly/cbmmcharitynav. Charity Navigator is the largest charity evaluator in America and its website attracts more visitors than all other charity rating groups combined. The organization helps guide intelligent giving by evaluating the financial health and accountability & transparency of more than 8,000 charities. Charity Navigator accepts no advertising or donations from the organizations it evaluates, ensuring unbiased evaluations, nor does it charge the public for this trusted data. Information about charitable giving is available free of charge on charitynavigator.org. 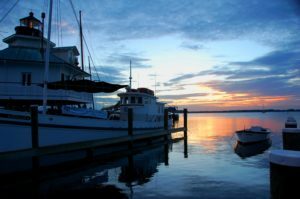 The Chesapeake Bay Maritime Museum is a non-profit educational organization dedicated to preserving and exploring the history, environment, and culture of the entire Chesapeake Bay region, and making this resource available to all. Every aspect of fulfilling this mission is driven by CBMM’s values of relevancy, authenticity, and stewardship, along with a commitment to providing engaging guest experiences and transformative educational programming, all while serving as a vital community partner. Charitable gifts to CBMM’s annual fund enable CBMM to educate and inspire the next generation of Chesapeake Bay stewards, and can be made online at cbmm.org/donate.